Hydacheim Essential Oil that we manufacture, export and supply is widely in demand amongst buyers owing to its purity and accurate composition. Our Essential Oil is prepared using natural hydacheim flowers using different processes. 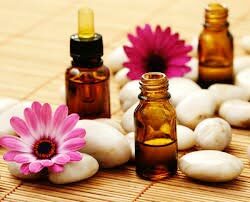 Owing to its tranquilizing and calming effects, our oil is used in making perfumes. Moreover, it also has therapeutic properties like stimulant, antiseptic, carminative, antibiotic, etc., because of which it is used in cosmetics, soaps, candles, aromatherapy and more.